Your brand, your branding elements, the website you own, letterheads, and other materials associated with your brand and business are all digital assets. They are just as valuable as the digital invoices and other documents you keep as part of your business operations. Many businesses downplay the importance of backing up their digital assets. After all, they are used online so there is always a copy available, right? Well, not exactly. The design elements you use online are usually uploaded in low resolution. Backing up the source materials is still very important. In fact, backup must always be a part of your business operations. There are several reasons why maintaining comprehensive backups of your business and business-related files is important, and we are going to review them in this article. Maintaining a comprehensive backup is important for the sake of maintaining the smooth operation of your business. When you have backups of your branding elements, for example, you can always use the source materials for your future branding campaigns. After all, what will happen when you run out of business cards and you don’t have the file of the one your designer created for you? All you need to do is access the cloud backup account and download the .AI, .PSD, or .CDR files and you are all set. The same can be said for the source materials for your website, letterheads, and other business promotions tools. In the event of a catastrophic data loss, you also have a complete backup to turn to. This goes for all of the files you keep as part of your business’s operations. When the hard drive of your computer fails, you can quickly restore essential files, including designs and branding elements, from the cloud. You can then use secure data recovery services to repair and restore your drive. The backup acts as an extra safety net for your business, protecting your essential files at all times. The best data recovery service will do the rest. 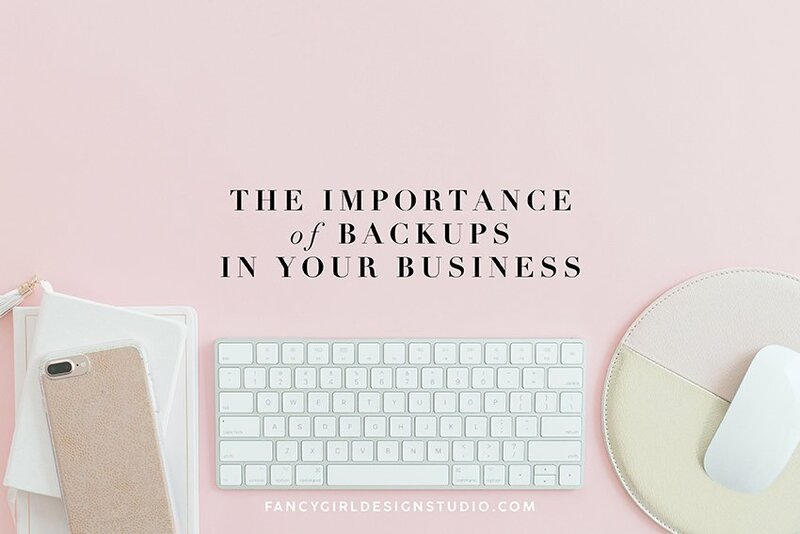 Speaking of safety nets, maintaining a cloud backup of your designs and branding elements (and other files associated with your business operations) is also more affordable than you think. You can have all the cloud backup space you need for as little as $5 per month. If you want to go a step further, you can also add an on-site, offline backup system. A set of external drives is a good investment to make in this case. (I have about 5 external drives, each with about 2 years worth of work files. And I also have a dedicated Time Machine for my iMac.) You can then automate the process of backing up files from individual machines to both the on-site and online backup solutions. Rebranding your business to stay fresh is not an uncommon strategy to utilize these days. Many of the older businesses change their brands to stay relevant and to get closer to the customers. You too can update your logo, refresh your site, and renew other branding elements every now and then. Having a comprehensive backup allows you to maintain a digital trail of your brand’s transformations. This may not be a particularly handy thing to have right now, but in a few years, you will have the luxury of being able to trace back the development of your brand – and your business – from the beginning. A backup routine is a necessity and not an option. Add it to your business operations and you can rest assured knowing that you have your entire business protected, especially your brand and every branding element that goes along with it.